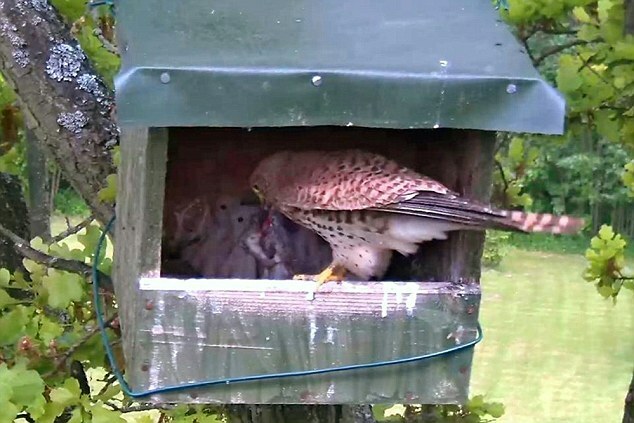 Mother bird of prey dropped weasel cub into her nest to feed her young. Rather than eat it, the baby chicks appeared baffled about what to do. Weasel eventually escaped when chicks began to suspect it was food. 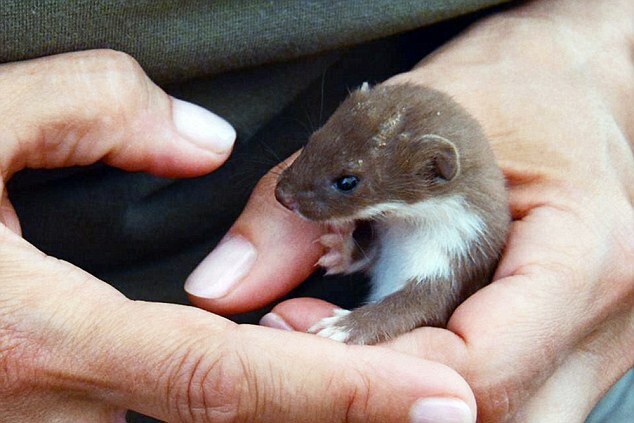 A baby weasel miraculously survived for four days in a falcon's nest after being captured by the mother to feed to her young.The weasel cub was spotted by amateur wildlife photographer Josef Kalensky from the village of Lanov in the north of the Czech Republic. 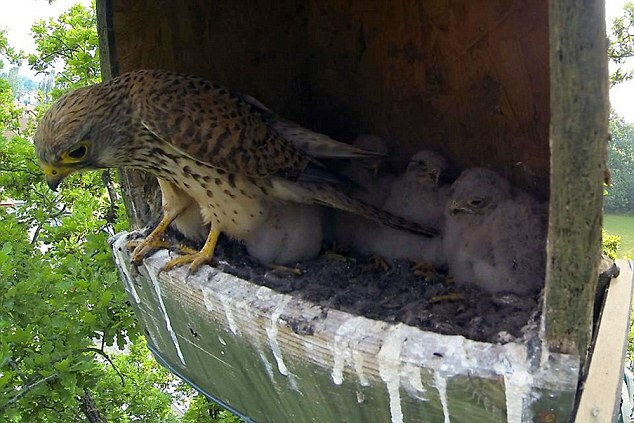 He was taking photos of the six young falcon chicks when he saw the mother return with the cub and drop it into the nest before going off in search of more food.But rather than devour him, the baby chicks appeared baffled about what to do. 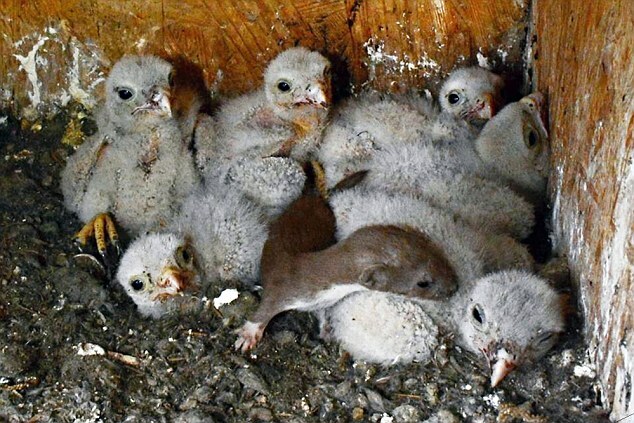 The weasel then spent the next four days in the nest hiding underneath the baby falcons whenever the mother returned.Mr Kalensky said: 'Every time the adult falcon came to the nest, the weasel hid itself under the feathers of the young falcons so she could not get to it. 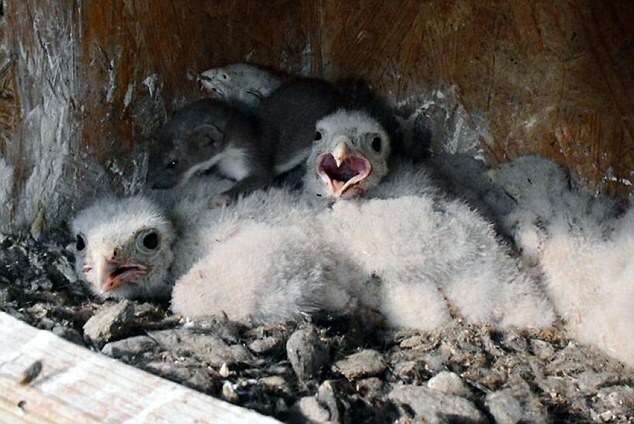 Responses to "Weasel survives for four days in falcon's nest by hiding under chicks (Photos)"
What a cute lucky lil weasel. They should have taken it to a rehab facility. 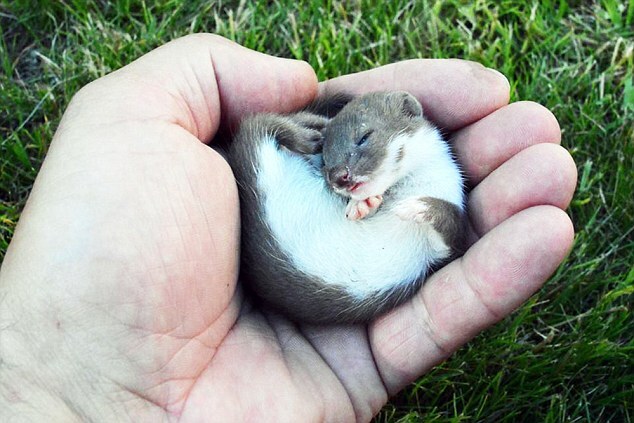 If the weasel is a baby...it will need nourishment and soon. After all it endured, I'm feeling badly.